I’m on my way home after 10 days on board Viking Star during her maiden season of cruises in the Caribbean. And today, Viking Ocean Cruises has announced more new itineraries for its expanding fleet – two more ships will be launched in 2017. 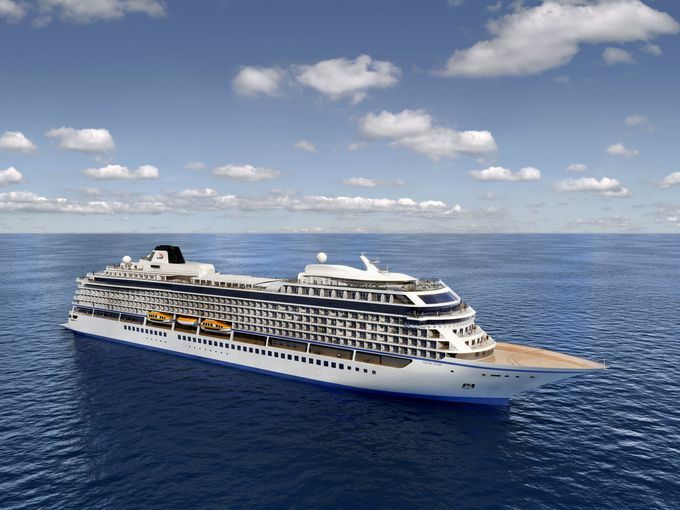 The new vessels, Viking Sky and Viking Sun, will be joined in 2018 by Viking Spirit and a sixth, as-yet-unnamed sister, debuts in 2019. Chairman Torstein Hagen said: Viking will mark major milestones in 2017. We celebrate our 20th anniversary; we will welcome two new Longships on the rivers in Europe; and we will double our ocean fleet to four ships by the end of the year. Alaska and the Inside Passage (11 days). Vancouver to Seward and in reverse, on Viking Spirit from May to October 2019. From £3,744 per person including two-night hotel stay in Vancouver. Australia and New Zealand (15 days). Sydney to Auckland and in reverse on Viking Spirit from December 2018 to February 2019., visiting nine ports of call and UNESCO World Heritage sites including Australia’s Blue Mountains. From £6,104. Panama and Central America (15 days). Miami round-trip on Viking Sky from November 2017 to January 2018, visiting Panama, Costa Rica, Colombia, Honduras and Belize. From £4,975. Turquoise Seas of the Western Caribbean (8 days). Miami round-trip on Viking Sky November 2017 to February 2018, visiting Belize, Key West, and Cozumel. From £2,445. Passage to India (21 days). Athens to Mumbai on Viking Spirit, departing August 18, 2018. Calling at ports in Israel, Egypt, Jordan, and Oman. From £6,315. Across the Bay of Bengal (16 days). Mumbai to Bangkok, on Viking Spirit, September 8, 2018 including overnight stays in Mumbai, Colombo and Bangkok. From £4,365. Capitals of the Far East (15 days). Hong Kong to Beijing and in reverse, October 7 and 21, 2018 on Viking Spirit. From £5,455. Southeast Asia and Hong Kong (15 days). Bangkok to Hong Kong and in reverse, September and November 2018 and April 2019. From £5,405. Komodo and the Australian Coast (17 days). Sydney to Bali and in reverse on Viking Spirit, November 2018 and March 2019. Including Bali, the Great Barrier Reef, and Whitsunday Island. From £5,005. Bangkok, Bali and Beyond (13 days). Bangkok to Bali and in reverse, November 2018 and March 2019 on Viking Spirit, visiting seven ports of call in Thailand, Malaysia, Singapore and Indonesia. From £3,945. Far Eastern Horizons (15 days). Hong Kong to Tokyo on Viking Spirit, April 2019, visiting nine ports in four countries, with overnights in Hong Kong, Hirohima, Shimizu and Tokyo. From £5,605. North Pacific Passage (23 days) Tokyo to Vancouver on Viking Spirit, May 5 2019, visiting Japan, Russia, Alaska and Canada. From £7,195. From now until January 31, Viking is offering UK residents an early booking discount of up to £500 on new 2017/2018 ocean itineraries. Contact a travel agent or call Viking at 0800 298 9700. Viking’s ocean ships have a gross tonnage of 47,800 tons, and accommodate 930 passengers in 465 cabins. More information at www.vikingcruises.co.uk.